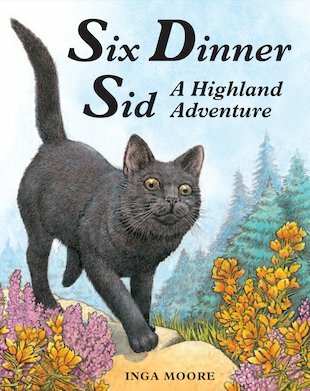 Six Dinner Sid knows what he likes – and that’s eating six dinners a day! He’s not called Six Dinner Sid for nothing! But disaster strikes when all of his owners go on holiday at the same time. How will Sid get his six dinners now? The problem seems to be solved when Sid is taken along on holiday to the Scottish Highlands. In the mountains and the forests, you can have as many dinners as you like a day! But only if you know how to catch fish, lobsters and rabbits. Nip! Splutter! Ouch! 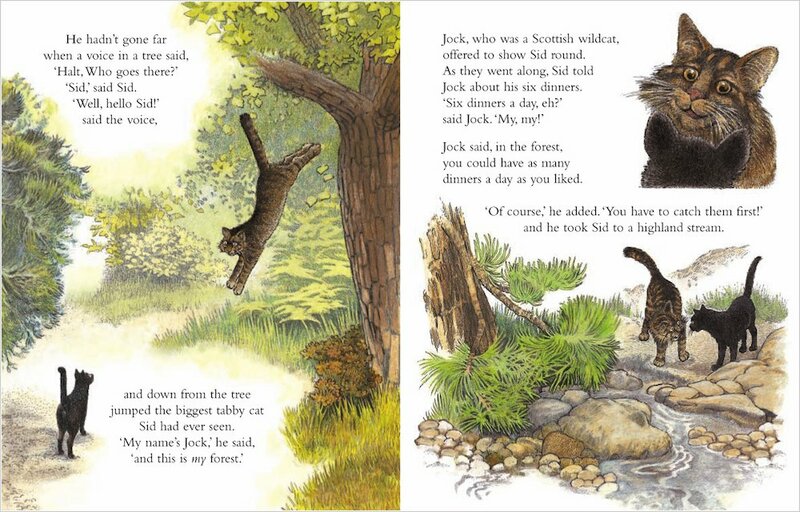 Bursting with breathtaking highland scenes and delightful comedy, this is the long-awaited return of a truly classic cat, whose original book has sold over 250,000 copies and is one of the Daily Telegraph’s top 50 children’s books of all time. I love cats and Six Dinner Sid is such an adventurous cat and it makes me wonder what he will do next! Inga Moore won the Nestle Smarties Prize for Six Dinner Sid.